Welcome to the twenty fifth edition of Independent Actuarial Consultant’s (IAC’s) monthly newsletter. In this matter the fund raised a special plea questioning whether the Court had the jurisdiction to deal with the issue of general damages as they alleged the plaintiff did not comply with regulation 3 of the Regulations to the Act. In compliance with regulation 3(1)(a) the plaintiff submitted himself to an assessment by medical practitioners. Duly completed RAF4 forms were provided in terms of the narrative test. assessment is disputed the rejection or the assessment shall become final and binding. The Registrar shall after receiving the notification from the other party or the expiry of the 60 day period refer the dispute to an appeal tribunal paid for by the Fund. Amongst other objections the defendant had directed the plaintiff to submit himself to a further assessment, which he did. The alternate serious injury assessments obtained by the defendant confirmed the assessment of the plaintiff’s injuries as serious. As indicated earlier, in terms of regulation 3(4), if a third party wishes to dispute the rejection of the serious injury assessment then the third party must lodge a notice of the dispute with the Registrar. The plaintiff did not dispute the assessment performed by the defendant’s experts and it, therefore, did not refer a dispute to the Registrar to be considered by an appeal tribunal. The defendant contended that once it rejected the serious injury assessment reports of the plaintiff, the plaintiff was required to refer the dispute to the appeals tribunal. The court held that in view of the agreement between the plaintiff’s experts and those of the defendant’s as to the seriousness of the injuries there was no dispute which requires referral to the appeals tribunal. The mere say so by the Fund that it rejects the serious injury assessment report/s of a claimant’s medical practitioners does not, in itself, create a dispute. Accordingly, absent a dispute as to the seriousness of the injuries, there can be no basis upon which a referral to the appeals tribunal would be justified. The defendant’s special plea was rejected. 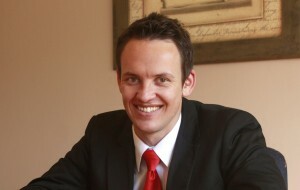 The plaintiff was awarded R200 000 in respect of general damages. Interestingly, during argument, counsel for the Fund contended that the Act does not contemplate the establishment of one single appeal tribunal, but rather that an appeal tribunal is to be convened by the Registrar following procedural compliance by the claimant after rejection, by the Fund, of his or her serious injury assessment report. In other words an appeals tribunal will be constituted by the Registrar, from time to time, and as and when a dispute requires consideration. This contention seems to be in conflict with the obiter statement made in the Mngomezulu judgement, as analyzed in my October newsletter, quoted here for your ease of reference. Did you hear about the lawyer hurt in an accident? The 60 day Fallacy – My view on LOUW & MNGOMEZULU. There is a perception among attorneys (although in my view misplaced) that if the RAF do not respond to the RAF 4 Serious Assessment Report then RAF is liable for General Damages. Hence my subject text – “the 60 day fallacy” this is a misplaced conception and is in my view an incorrect interpretation of the Case Law. In the matters of Louw v RAF & Mngomezulu v RAF reference was made to the 60 day period to object (reject) the RAF 4 however in both decisions the Judges relied on Sec 24(5) of the RAF Act. The Report must be completed in all its particularity. This was listed on p. 19 par 49 (p. 18) in the Mngomezulu Matter, in the words of the judge “Reg 3(3)(d)(i) should be available to the defendant where it seeks to reject the serious injury assessment report on procedural but rational grounds” (my emphasis) – the judge then, in my view, in a preceding paragraph (p. 17 par 46) contradicts himself by stating that failure to object within the 60 days establish a duty on the defendant (RAF) to pay general damages. If this argument by the attorneys and the judge in the Mngomezulu matter is taken to its full conclusion then it means that in all pre amendment claims where RAF has not used Sec 24(5) the RAF will be liable in terms of Par. 8 for all and any amounts claimed without the RAF having the benefit to assess, investigating or validating the correctness of the amounts claimed – surely this could never have been the intention. To take this even further would negate Sec 19(a) if this line of argument is followed – any common law defences (COIDA – Sec 35(1) would fall by the way side because we did not object within 60 days as contemplated by Sec 24(5). The RAF 4 Serious Injury Report is a pre requisite for claiming General Damages (e.g. if you go to a bank to fill in a loan application the completion of the application does not guarantee you money you still have to meet certain criteria) – i.e. the report has to be submitted – it does not follow that submittance implies entitlement by claimant to General Damages because the Assessment must meet a certain criteria and the RAF is entitled to challenge the assessment in terms of Reg 3(3)(d). If the Assessment is incorrect or does not meet the set criteria the claimant is not entitled to Generals although the RAF 4 is compliant in terms of Sec 24(5). You should not forget that both these matters where the 60 days were applied is on Appeal, also that both the decisions were handed down in the South Gauteng High Court and as such only has persuasive authority for the time being. In the Nhlanhla matter the Court even allowed the Plaintiff to amend their claim to use the “narrative test” to claim General Damages and further reports were filed in support thereof, if the argument of Louw & Mngomezulu is followed then it means if the RAF has failed to object in terms of Sec 24(5) within 60 days an attorney can then use the narrative test file further reports without affording the RAF the opportunity to challenge the “additional assessment method” and or any of the reports filed. This would then in my view make Sec 3(3)(d) absolute – as all that has to happen is an attorney waits until the lapse of 60 days after filing a RAF 4 and on expiry use the alternative assessment method (the narrative) supplemented with additional reports and the RAF would be liable to pay – come to think of it the whole Appeal Tribunal Procedure would be a nullity. To argue because failure to respond within 60days to the RAF 4 Serious Injury Report/Assessment would entitle a claimant to General Damages is untenable. In conclusion failure to respond does not imply that the assessment is accepted.